This year our annual Golf Day will be raising funds for the new cancer unit at Dorchester Hospital. 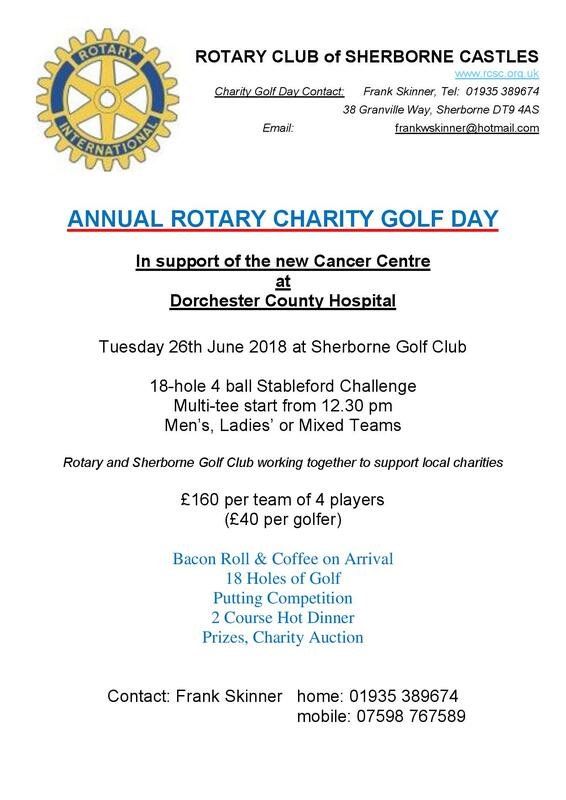 Why not get a team together and join us for this fun day at Sherborne Golf Club. You can find our more by downloading our announcement and a registration form here. Next Entry Ever wondered what Rotary in Sherborne does?